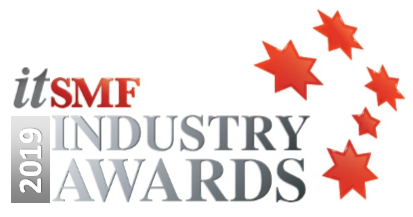 The Service Management Annual Awards are itSMF Australia’s opportunity to showcase the practical application of service management best practices and standards and to recognise outstanding contributions made by organisations and individuals. The team or organisation in which the project is being conducted must be a business entity with a registered office in Australia or be an Australian Government agency, and where relevant the individual must work for a business entity with a registered Australian office. To facilitate the judging process, please address each evaluation criterion in the order provided and clearly state how they were met, or exceeded expectations. To nominate for an Individual Award, simply complete the Nomination Form (please see below) and supporting descriptions of relevant experience and activities. Submissions for all Team Awards must adhere to the word length specified, and should include full details of the nominee/s and nominator. Complete adherence to Award evaluation criteria and demonstrated consideration of and response to all listed criteria. Click here to view criteria. A written report describing the project, service, contribution, or innovation. This should include (although is not limited to) the business and project overview and objectives, details of any significant challenges and issues faced during the project and how they were overcome, key business requirements and specified deliverables, key innovative ideas that flowed from or to the project, success criteria and overall outcomes. The report should be no more than five A4 pages in length. Include an abstract (summary) of the submission on no more than one A4 page, to make a maximum total of six pages. Please submit your responses as Word documents. Please download and complete the Nomination Form. Ensure all supporting documents for your chosen Award are provided. If you are selected as a finalist you will need to provide high-resolution photos of the team involved and your company logo. These will be shown at the itSMF Australia Gala Dinner Awards Ceremony during the Annual Conference.